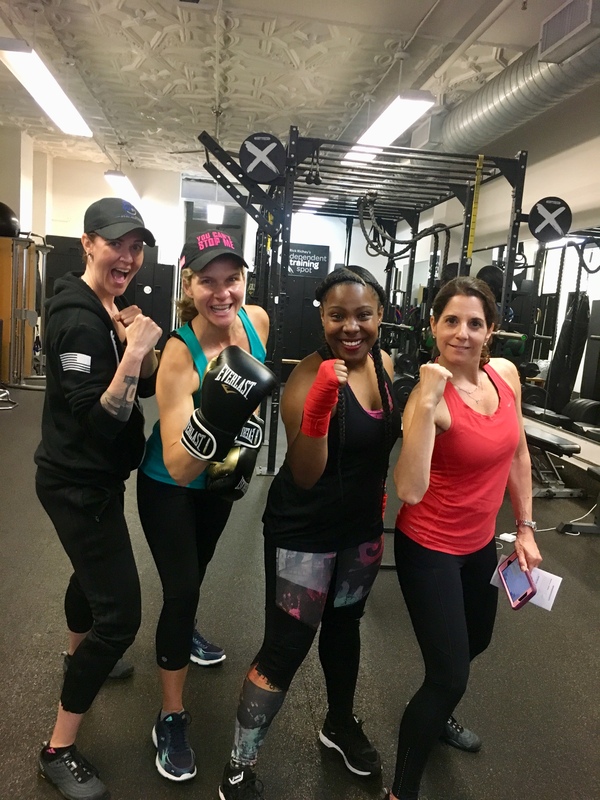 Loved meeting these fun, fab and fierce fitness chicks! One of the perks of getting my NASM and AFAA certifications several years ago is that it “forces” me to get a certain number of credits every couple of years to keep those fitness certifications current. This year, I’m beyond pumped those necessary credits led me to find the Everlast Striking Certification Workshop: level 1. As you repeat readers may recall, I was lucky enough to discover the rush provided by muay thai kickboxing not long after birthday in 2017. I’m still not quite sure how I dealt with the stress of living in New York and life in general for 43 years before discovering the physical and mental rush that could be experienced thanks to kicking and punching a heavy bag! (Talk about inexpensive therapy!) After a full Sunday in the Everlast workshop lead by fitness guru Aaron Drogoszewski, not only did I acquire the credits needed to maintain my fitness certifications, I learned even more about the techniques that have become a huge part of maintaining my physical and mental strength for the past 16 months. Thanks to Aaron Drogoszewski for an amazing workshop! What was extra fun about the workshop is that in addition to learning how to execute the six basic punches (jab, cross, hooks and upper cuts) along with the roundhouse kick with more accuracy and efficiency, we also learned how to cue and coach others through the moves. It was fun – and also one heck of a workout – to work with a partner and switch roles between trainee and trainer. The bottom line is there’s nothing like gaining extra knowledge from the experts to help take your game – whatever that may be – to the next level. I look forward to sharing some of the techniques with friends looking to add something new to their fitness routine. In addition to Aaron’s instruction and motivation from my new fitfam friends, I couldn’t have made it through the day without the right fuel. Lucky for me, I received a “goodie box” of new KIND protein bars just in time for the workshop. (I did some spokesperson work for KIND a couple of years ago, and I was thrilled the team remembered me.) Not only did the double dark chocolate nut bar taste great and keep me satisfied with its 12 grams of protein, I love the fact that the bars contain no artificial sweeteners and have a low glycemic index. (They’re also gluten free!) I know I’ll be keeping one or two of these bars in my gym bag or purse at all times so I don’t get tempted by the not-so-healthy vending machine options when hunger hits. So on this Motivation Monday, remember this: you’re never too much of an expert to get some new moves and new snack ideas to help you keep you on track with your plans to have fun, be fit and feel fabulous! 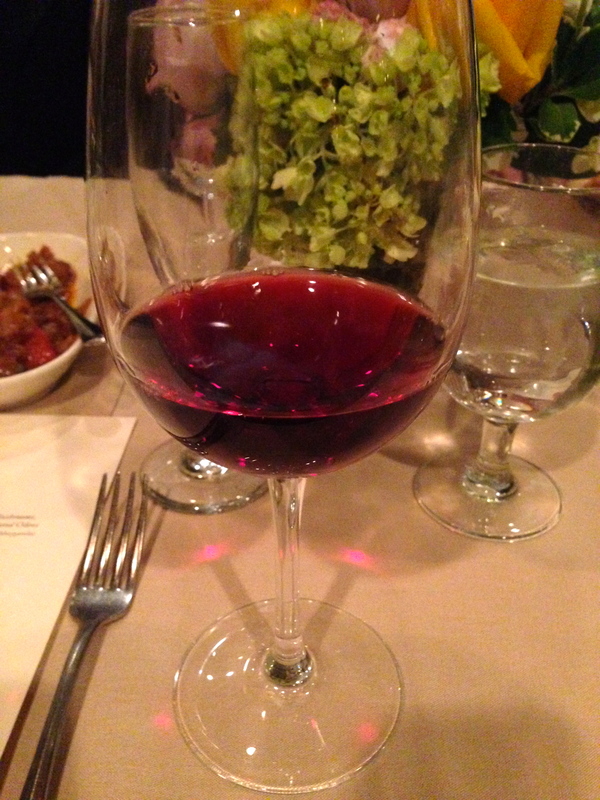 Are you a little slow-moving on this particular Motivation Monday thanks to all the food and fun (and drinks!) from your Super Bowl Sunday festivities? Don’t sweat it. You’re not alone! While I’m keeping today’s post short and sweet, I did want to take advantage of the beginning of American Heart Month to encourage everyone to consider learning or brushing up on a life-saving technique: cardiopulmonary resuscitation. Six years after my first CPR / AED (automated external defibrillator) course with the American Red Cross, I remain thankful I had to learn these skills in order to receive my certifications with the National Academy of Sports Medicine (NASM) and the Aerobics and Fitness Association of America (AFAA). I’m also thankful the course isn’t a one-and-done deal. In order to keep my fitness certifications current, I have to re-take the CPR/AED training every two years. So last Thursday, I got re-certified with help from Aquatic Solutions, an American Red Cross provider that’s been providing courses in CPR/AED along with training for aquatic and camp professionals and basic lifeguarding since 2002. In just a few hours, I got a great refresher on how to help someone in an emergency situation until medical professionals arrive on the scene. While I haven’t had to perform chest compressions, rescue breaths or use an AED on anyone yet, it feels good to be prepared. Four out of five cardiac arrests in the United States happen outside the hospital. For every minute CPR is delayed, a person’s chance of survival decreases by 10 percent. Whether you’re a parent, babysitter, office worker, teacher, waiter, coffee barista…whatever fills your day-to-day routine, the truth is you never know when an emergency may happen. So, even if you don’t work in the fitness industry, wouldn’t it be wonderful to gain some life-saving knowledge to help a loved one or be that Good Samaritan who makes a difference in the life of a stranger? For more information and to find a class near you, click on this link. Remember, getting certified in CPR has nothing to do with your fitness level or your age. You just need a few hours and a desire to learn how to help out in an emergency. That knowledge could make a significant difference in another person’s life and his or her quest to continue the journey to have fun, be fit and feel fabulous! Indulging CAN Be Good For You! This Motivation Monday totally snuck up on me. Let’s just say things are a little crazy right now. So today’s post is all about keeping things simple, light and hopefully a little fun, too. Some of my readers already know I’ve been studying for many months now to receive my Fitness Nutrition Specialist (FNS) certificate through the National Academy of Sports Medicine (NASM). It’s been great putting some science behind my longterm beliefs in what can be considered “healthy eating.” That includes learning how our bodies rely on the right balance of nutrients to function properly. One chapter I found particularly interesting was about a group that falls outside the nutrient spectrum – trace elements. What are trace elements? They’re minerals the body needs in small amounts – less than 100 milligrams per day – and the total amount of each trace element in the body is less than five grams. Despite the small amount of space they take up in our overall anatomy, they’re crucial to many body functions and essential for growth and the normal function of our immune system. More specifically, the trace minerals we need are: iron, copper, zinc, copper, fluoride, selenium, iodine, molybdenum, chromium and manganese. Now that I’ve gotten a little “science-y” on you, here’s where the fun comes in: a couple of these trace elements can be found in…drumroll please….chocolate, peanut butter, wine and some beers! Copper – which helps with immune function and iron utilization -can be found in peanut butter and chocolate! (I should point out, it’s also found in organ meats, shellfish, nuts and seeds). 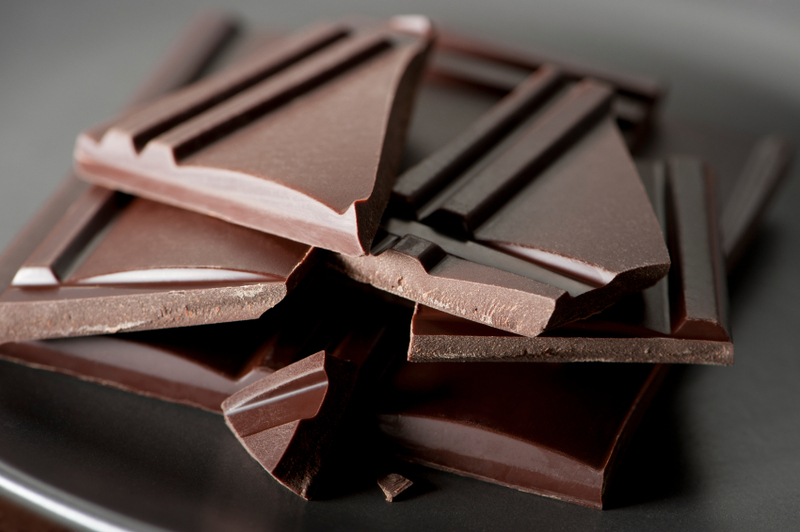 Meanwhile, rich sources of chromium include dark chocolate, wine and beer (along with mushrooms, asparagus and prunes.) Chromium plays a part in the normal use of insulin to promote glucose use. So, while I’m not here telling you to overload your cabinets with chocolate and booze, I thought you wouldn’t mind learning that indulgences really can be good for you – in moderation, of course! Along with making the taste buds happy and boosting your mood, you’re actually giving your body things it can use. The next time you enjoy that dark chocolate square or savor a glass of your favorite vintage, smile and know it’s all part of the plan to have fun, be fit, and feel fabulous! Overwhelmed? I Feel Your Pain! With this Motivation Monday post, I throw my support behind anyone struggling to get it all done. I’m with you. Lately it seems to take me longer to cross the tasks off even the most organized to-do lists. So, I offer a reminder that sometimes you simply need to take a deep breath, remember you’re human and accept the reality that the world won’t end if one or two things have to wait until tomorrow. Where is this all coming from? 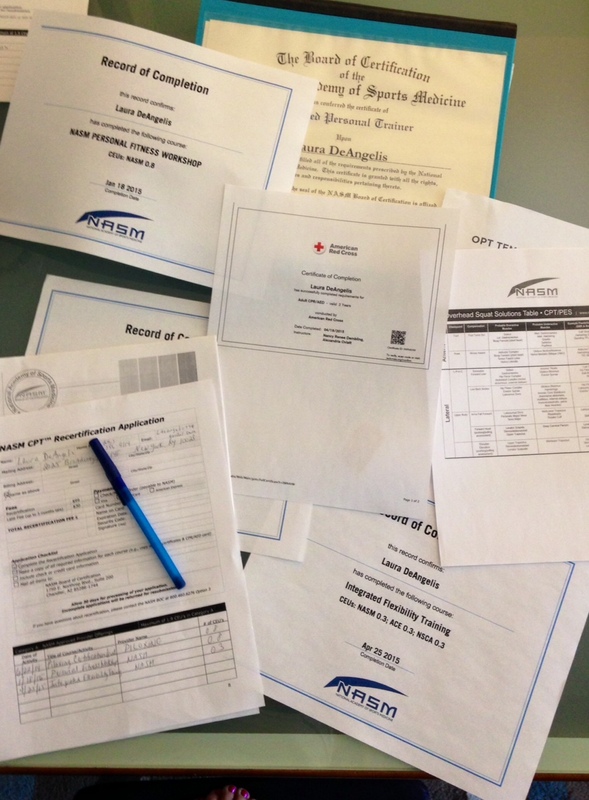 Last week, I posted about renewing my adult CPR/AED certification with the American Red Cross. I left that requirement until one of the last weekends I could get it in and still get my paperwork in for my NASM personal trainer re-certification. Two days ago, I blocked out time to take a NASM Integrated Flexibility Training online workshop so I could obtain the last continuing education units (CEUs) needed to actually get re-certified. The deadline is only a few weeks away. I got through the material, passed the online test and rushed all my paperwork to the post office. Now I wait for it all to be processed, approved and then hopefully receive my new NASM certificate in the mail sometime next month. I got it all done, but I have never been one to wait until the last-minute to get important items like these off my plate. But the clock seems to tick at a faster place lately, the work days bleed into the all-too short weekends and then the cycle repeats on Monday. 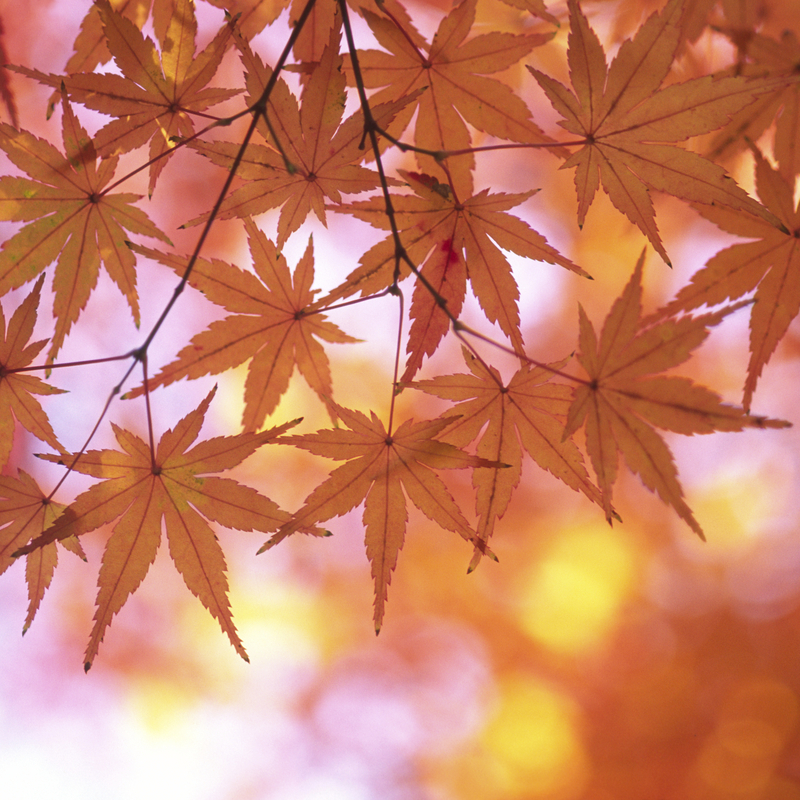 I am looking to the energy of the new season to figure out new ways of doing things. That includes possibly re-vamping plans on how I schedule everything from my workouts to overdue catch-ups with friends and family. Through any stressful time, working out and eating healthy always help me keep my cool. However, I hate to admit, over the past month, the frequency of my workouts has taken a hit thanks to longer-than-expected work days and overall fatigue. 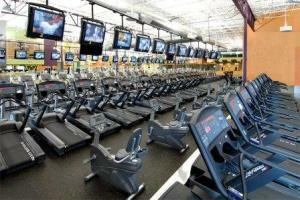 But there are peaks and valleys in every relationship – including the one we have with the gym. So here’s to the new week with the NASM re-certification application crossed off my to-do list and the chance to find new energy to tackle what lies ahead. If today gets a bit manic, like Mondays often do, take a breath, close your eyes for a moment and remember this one thing: you are stronger than you think. Sometimes we all need a little reassurance to stay on the path to have fun, be fit and feel fabulous. Why Not Spend a Few Hours Learning How to Help Save a Life? Every couple of years, something great happens. Not only do I get to re-certify for my AFAA & NASM credentials in the fitness world, but part of that process involves me getting some life-saving reminders that could hopefully make a difference in the event of an emergency. 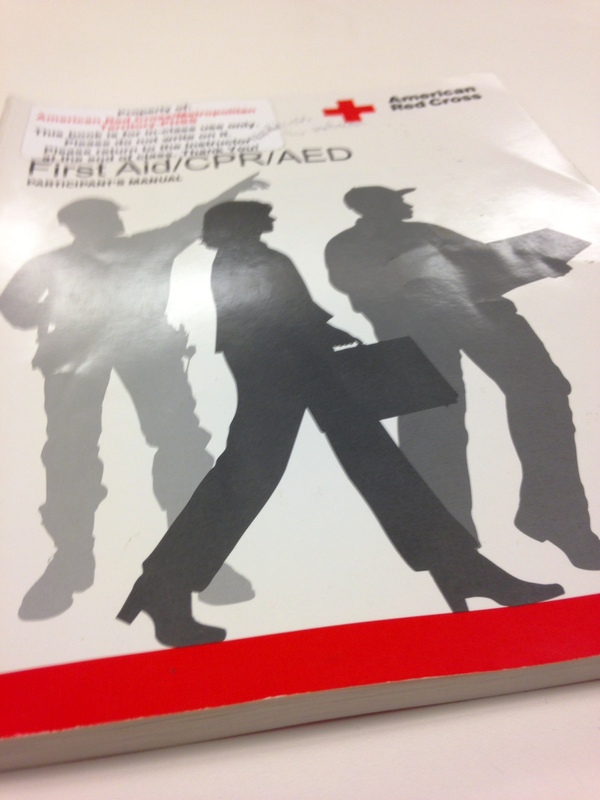 Last night, I took an adult CPR/AED course at the American Red Cross. In just three hours, I learned the basic skills needed to help someone in the event of a choking situation or cardiac emergency. This marked the third course I’ve taken since 2010, and I’m always grateful for the reminders. 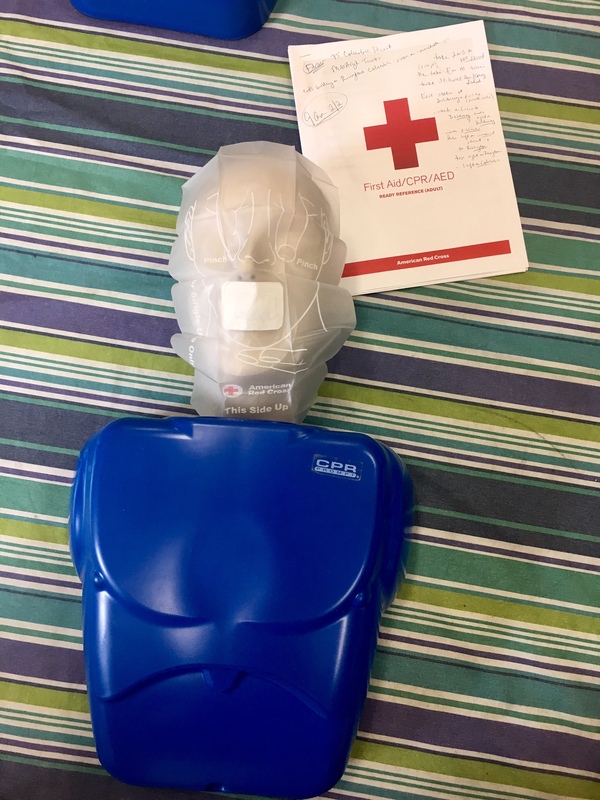 On this Motivation Monday, I simply encourage everyone to consider taking a similar course to learn the basics about administering CPR, operating an AED and just being able to help if the unexpected happens. Even if you don’t work in the health or fitness industry, you never know when someone you care about could need your help in an emergency. Click here to find a course near you. Doing something good for people around you is a great way to stick with your plans to have fun, be fit & feel fabulous! Well, the last Motivation Monday of the summer of 2014 has arrived! As we get ready to start the fall season filled with new adventures, I’m thrilled to tell you about another first for LauraLovesFitness. I met Gary Davis, the owner of HealthFitnessGenie.com via Twitter and was honored when he asked to interview me for his website. The site offers great information for people of all ages and fitness levels with articles ranging from how to hire a personal trainer to exercising proper etiquette in the gym. Please click on the following link to read the interview where Gary and I discuss how fitness has remained the one constant that’s kept me grounded through the ups and downs of the biggest adventure known as life. I hope you enjoy learning a little more about me and perhaps get a shot of motivation to stay on track with your own goals as we head into a new season. I close with a thank you to Gary and to all of you for checking out the interview. Feel free to share away on Facebook, Twitter and wherever else you’d like to spread the word about “team” LauraLovesFitness and HealthFitnessGenie. Here’s to the fall of 2014 and all the chances we’ll have to have fun, be fit and feel fabulous! I realize this is a departure from my Motivation Monday norm, but as you know, I’m a big proponent of mixing things up. I’ve been invited to participate in a “blog tour” by writer and blogger Paula Rizzo. 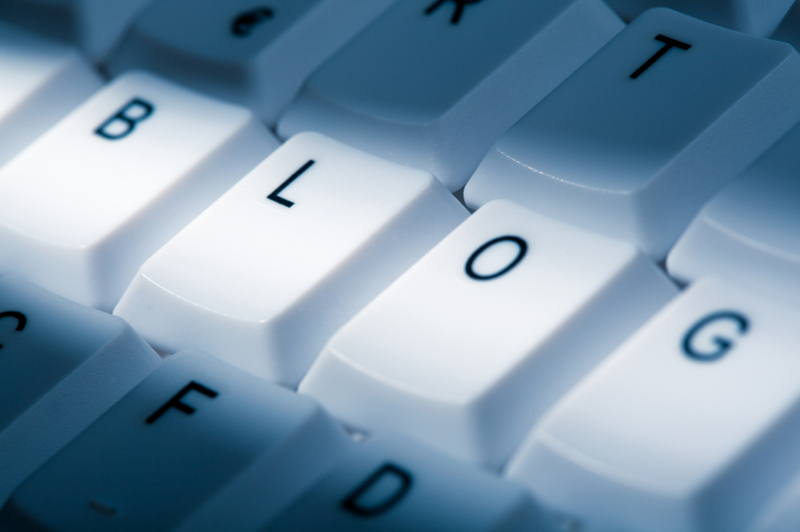 I guess you could call it a sort of chain letter for blogs. However, unlike the chain letters I usually ended up tossing as a kid, I thought this would be a bit more fun. I have to answer four questions about my writing process and introduce you to three bloggers who will pick up the baton next week. They’ll introduce you to another trio…and so on, and so on. Ready…set…go! Along with my Motivation Monday posts and other social media outreach, I’m in the infancy stage of writing a proposal for my very first book. Without giving too much away, my goal is to draw on my personal experience – including more than a few mistakes- to write an easy-to-follow blueprint for people of all ages and skill levels. On the non-fitness front, I’ve been keeping a journal since the age of 12. One day, I hope to draw from some of the events in my life to create some form of realistic fiction, but that’s down the road a piece. While there is no shortage of fitness experts in Cyberspace or on TV, I can’t truly relate to many of them as a 40-year-old woman. I don’t believe you have to go to injury-inducing extremes to make positive, healthy changes in your life at any age. I promote choices that people can live with for more than a few days or weeks at a time and promote finding fitness routines and diet regimens that make you feel good so you’ll stick with them for the long haul. I’ve loved to write and I’ve loved to exercise for as long as I can remember, so bringing the two together feels natural. At the age of 40, I can honestly say I’m stronger than ever. By taking better care of myself physically during the last five years, I know I’ve also gained strength mentally and emotionally. 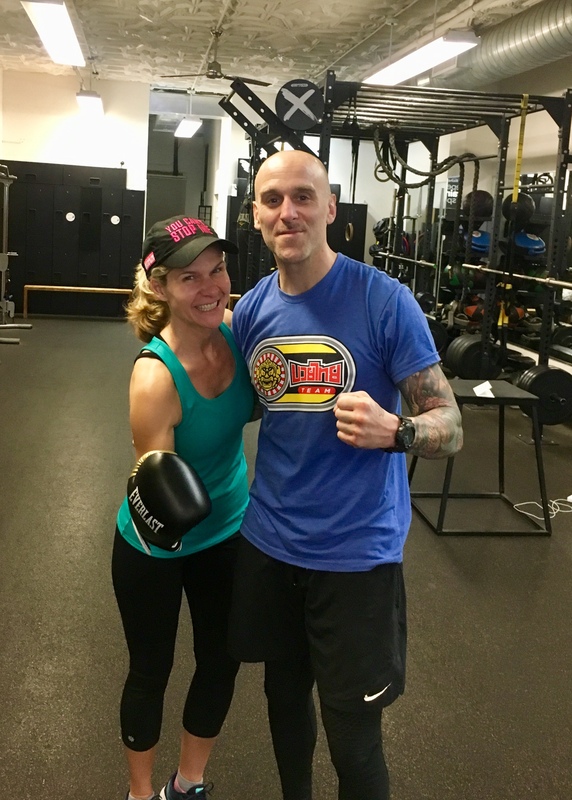 I share my favorite workouts, foods and even some fitness faux pas in an effort to inspire others to find their own path to leading a healthy lifestyle. Each workout, each trip to the grocery store and each week can present its own inspiration. If I enjoy a particularly grueling Central Park workout or add a new item to my fridge, there’s a good chance you’ll read about it here. I also rely on the calendar to address timely topics like staying healthy through the holidays or hydrated through the summer. LoriAnn LaRocco (Lori Ann LaRocco.wordpress.com) Lori Ann is one of my dearest friends and the author of three books including her most recent, “Opportunity Knocking” (Agate Publishing). She is also the Senior Talent Producer for CNBC’s “Squawk Box.” Lori Ann has used her “trillion dollar” Rolodex to gain real-world insight into business and finance. Her work, including her blog, is an inspiration for all entrepreneurs or anyone who needs a swift kick in the you-know-what to stop dreaming about what you want to do and put a real plan into action. Lauren Muscarella (traumatoart.org/inspire/) Lauren and I met several years ago at a NASM workshop while preparing for our personal training certification exams. Along with sharing a passion for health and fitness, I soon learned Lauren lost her mother to breast cancer at a very young age. She eventually found comfort for her grief in writing a blog called MamaQuest. After receiving countless emails and letters expressing how her blog inspired others to use creativity to cope with their own losses, she wanted to do more. Lauren founded TraumatoArt.org to help young adults find their own unique path through grief using creativity, rituals and community contribution. Stephanie d’Orsay (itrainthereforeieat.com) Stephanie is certified as an athletic trainer and strength and conditioning specialist and has a MS in Applied Nutrition. We met in Twitterville and in addition to falling in love with the name of her blog, I appreciate her love of food and her outlook on what it means to follow a healthy lifestyle. We share a common belief that there is no one-size-fits-all diet and fitness plan and Stephanie’s blog offers an honest and uplifting approach to reaching goals and maintaining a healthy lifestyle. Thanks for reading and as always, I wish you all a great week filled with tons of chances to have fun, be fit and feel fabulous! My recent vacation in Florida has me dreaming of beach workouts to come! I’m not sure how it happened, but here we are three days in to the month of June! National Safety Month. In fact, this week is National CPR & AED Awareness Week. While I recently renewed my certifications with the National Academy of Sports Medicine and the Aerobics & Fitness Association of America, it turns out my CPR and AED certification with the American Red Cross expires at the end of the month. So it’s time for me to take a refresher course and get up to speed! I encourage everyone to consider taking a CPR / AED class. Even if you don’t work in the health or fitness industry, you never know when someone you care about could need your help in an emergency. National Fresh Fruit and Vegetable Month. This is my favorite time of year to snack on juicy peaches and nectarines; plump blueberries; sweet strawberries and refreshing watermelon. Check out this great recipe for watermelon salad. (Thanks, Snack Girl!) Looking for a portable snack that can also help you beat the heat? Give frozen grapes a try! National Tennis Month. I was a varsity tennis player in high school, but am sorry to say I stopped playing when I got to college. I’ve always wanted to get back in the game as tennis is an amazing sport to build cardiovascular endurance, balance, strength and coordination. If you’ve ever thought of giving the sport a try, make this the month you go for it! As June also brings us to the halfway point for 2013 (yikes! ), this is also the perfect time to assess where you’re at in reaching your health and fitness goals for the year. Maybe it’s time to take things up a notch or simply add some new workouts and healthy foods into your daily routine. Remember, mixing things up is a surefire ways to stay on track with your plans to have fun, be fit and feel fabulous! My Overhead Squat Needs Some Help! Even a personal trainer needs help with her fitness program. This past weekend, I took a Corrective Exercise Training workshop offered by the National Academy of Sports Medicine (NASM). The eight-hour workshop provided a lot more than some of the needed Continuing Education Credits (CEUs) for my personal trainer re-certification. It also forced me to take note of some of the issues with my body that could quite frankly be setting me up for injury. The purpose of corrective exercise is to create a training program that can help someone maximize his or her movement efficiency. This happens by identifying dysfunctions and correcting muscle imbalances with a plan of action. In my case, that concept boils down to this: my calves, hip flexors and hamstrings are overactive and need to be stretched while my glutes and tibialis anterior (the muscle closely located to the shin) are underactive and need to be strengthened. The catch is the muscles that need the corrective work are only on the right side of my body. How did I figure this out? Brent Brookbush, our NASM instructor, used me as a case study for the rest of the workshop participants to observe. Without getting too deep into functional anatomy, the group focused their attention on my feet, knees, lumbo-pelvic-hip complex and upper body as I banged out multiple overhead squats. After giving them an anterior, lateral and posterior view, they assessed my right foot turned out and I have an excessive forward lean. Of course, both actions are indicators of less-than-optimal movement. In order to increase my muscle efficiency, they then put together a four-part training strategy that would first inhibit and lengthen the overactive muscles through self-myofascial release and static stretching. The last two steps target the underactive muscles with activation through isolated stretching and integration using a full-body exercise. Breaking it down again, my program involves foam rolling my right lateral Gastrocnemius (calf), TFL (hip) and biceps femoris (hamstring); static stretches of those same muscles; then activation of my glutes with clams or bridges; and the grande finale is an integrated exercise, like a squat to row. This whole program should take me about 20 minutes, which means there’s no reason for me to not make it a part of my workout routine. I would still have time to get on the elliptical and/or hit the weight circuit. The key is once I do move on to the core part of my workout, I’ve worked to correct the imbalances in my body. My form will be better, the muscles that are supposed to “fire” as prime movers will do just that and other muscles won’t be compensating for the action. Those compensations can lead to injury over time. One final plug for corrective exercise: After we all practiced the techniques and exercises outlined in my program, I performed another series of overhead squats for the class to observe. I can’t say I was perfect, but my form looked tremendously better compared to when I first got up in front of the group. My foot was no longer turning out and my lean was nowhere near as significant. Considering how much better I felt after one afternoon of corrective exercise, I can’t wait to see how I feel after making this program part of my normal routine. In my book, anything we can do to make our muscles move better is a surefire way to have fun, be fit and feel fabulous! I said it on Monday, and I’ll say it again: what a difference a week makes! I’m excited to tackle this Workout Wednesday with new energy. For me, getting back into my fitness routine has meant focusing on one of my lifelong addictions: cardio. While I haven’t completely decided how today’s workout will break down, I do know there will be a combo of elliptical, recumbent bike and rowing machine training when I hit the gym after work. After my five-day hiatus, I started with a moderate 30 minutes and should have no problem hitting a full 60 minutes today. Adding a plank and push-up Tabata along with some SMR and stretching and no doubt I’ll sweat any work-related stress right out of my system. All of this will no doubt help me get back up to speed and ready to tackle another crazy Central Park workout. To calculate your maximum heart rate, subtract your age from the number 220. Multiply your max heart rate by .65. Multiply your max heart rate by .75. If you’re working within the parameters of zone one for cardio, it’s likely you are also in stage one of your overall exercise program. (NASM refers to this as the stabilization level.) If you’ve never worked out before, you may want to try to reach your zone one heart rate for a maximum five to ten minutes and then spend another 20 minutes simply walking at a good pace, climbing the stairs in your home or getting really dirty in the yard by cleaning up the garden. Your goal should be to eventually maintain your zone one heart rate for at least 30 minutes. This can take some time. A “newbie” may need two months or longer to meet this demand, but remember: there’s no finish line here. You’ve made a commitment to exercise and start taking better care of yourself, so while you don’t want to just dial it in, make the journey work for you. I hope this brief session of cardio 101 will help get your heart pumping safely and effectively so you can have fun, be fit and feel fabulous!